The Plano Plastic Trading Card Case holds up to 1100 standard-size trading cards. 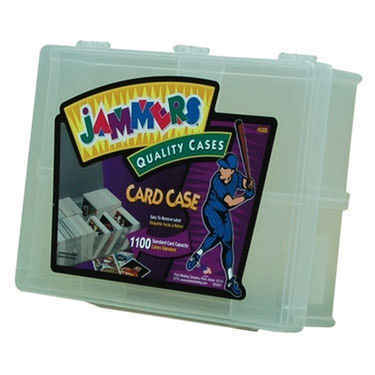 Made with acid free plastic, this trading card case ensures your collection will be protected from tears and holds. Use it for baseball card storage, sport card storage, or even role playing cards. The divided compartments are staggered to keep cards organized nicely. The clear snap lock list holds tight. Available in a set of 6 containers.